We create whole new exterior living spaces. 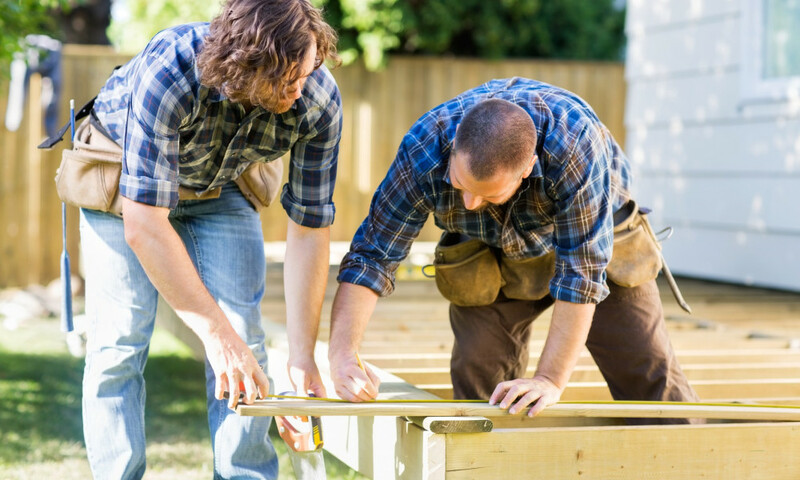 Whether you’re looking to do any home remodeling including interior or exterior home renovations, it is important that you commission a general contractor in Toronto and area you can trust! And saying this is “Us” is simply an understatement! RenoPro is not your average interior and exterior general contractor in Toronto, because we simply deliver a perfect fit that is beyond your expectations, and at a price you can afford. At RenoPro, we are committed to client satisfaction regardless of whether you need something as simple as a paint job, or more complex as building a deck, you can count on our professional team to get the job done right the first time and on time. Revitalizing the exterior of your home not only makes it a great place to live, but significantly increases property value as well. Exterior renovations also help improve curb appeal, reduce yearly maintenance and go far beyond just the face of your home. With a wealth of experience, RenoPro can literally transform the look and feel of your home as well as functionality with our home improvement processes. We can create whole new exterior living spaces such as decks, which have become a popular way to host cookouts or just socialize with family and friends. With a plethora of materials to choose from, RenoPro can help you design a deck that both fits your lifestyle and personality. When it comes to outdoor living, RenoPro is a trusted choice and can help design and build pergolas, under stair lighting, floor designs, hot tub enclosures and outdoor masonry features, etc. For any interior or exterior, small, big or complex home improvement projects, get in touch with RenoPro and you’ll be glad you made that call!